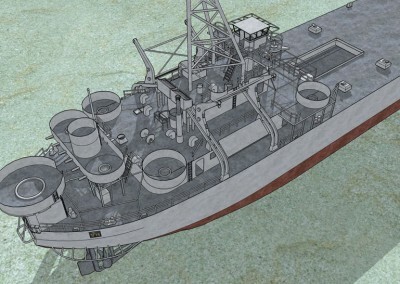 The full vessel. 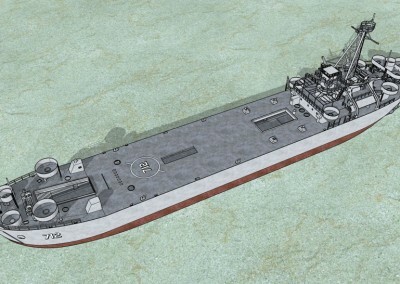 A total of 100m in length. 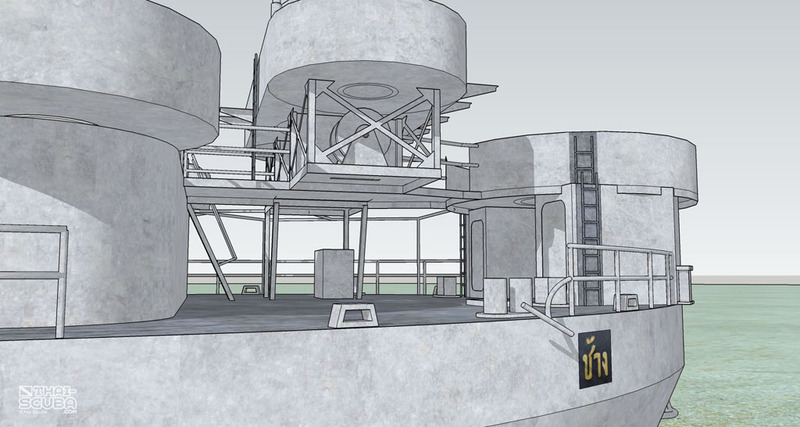 The stern with the ship’s name in Thai. 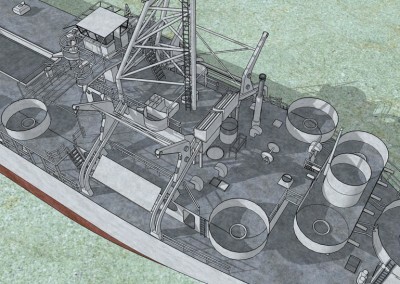 Another angle of the stern with a number of 40mm and 20mm gun towers. 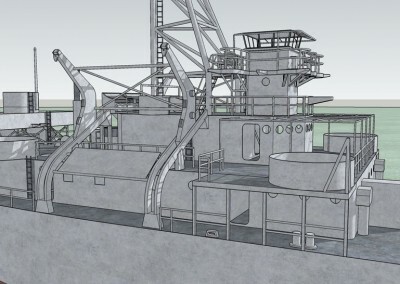 View towards the bow. 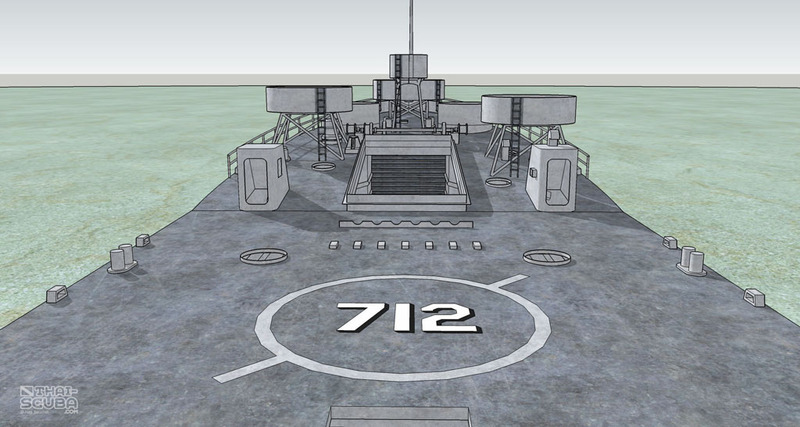 Helicopter landing marks on the main deck. 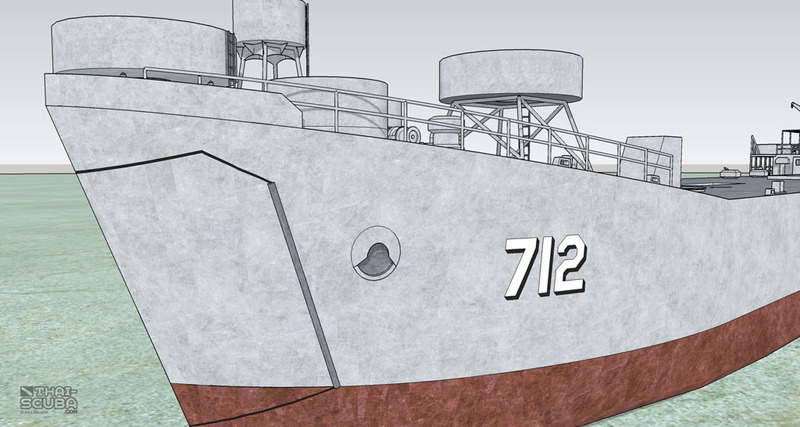 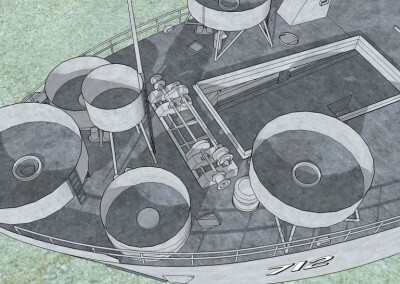 Forward gun towers and a look into the ramp hatch at the bow. 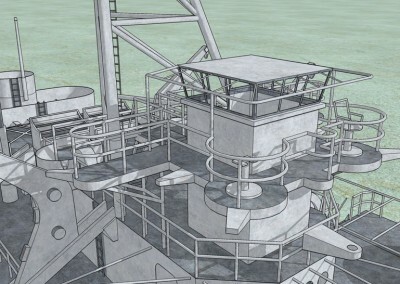 The 40mm and 20mm gun towers at the bow. 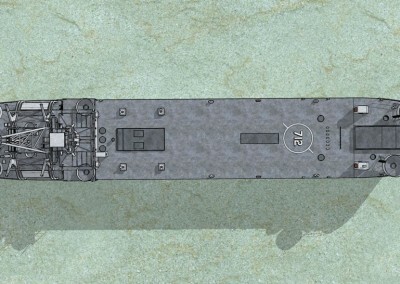 The doors at the bow and registration number of the ship. 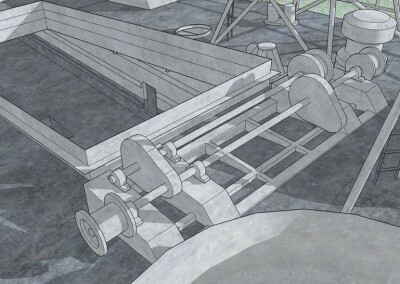 The winch for the (removed) ramp which used to give vehicle access to the main deck. 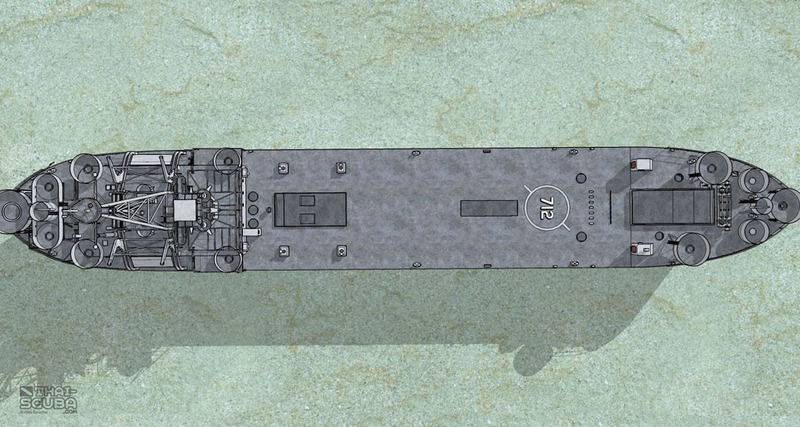 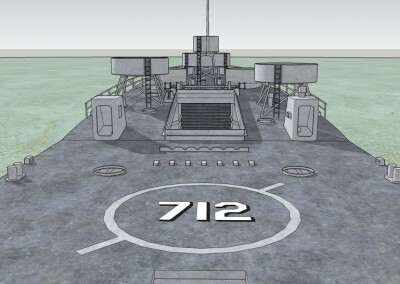 Here are the 4 decks above the hull. 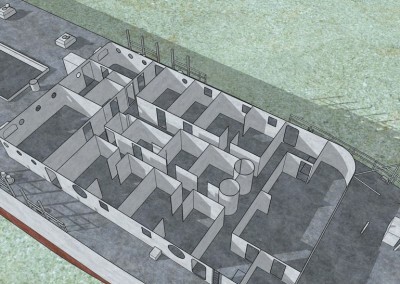 On the bottom the operations rooms and officers quarters. 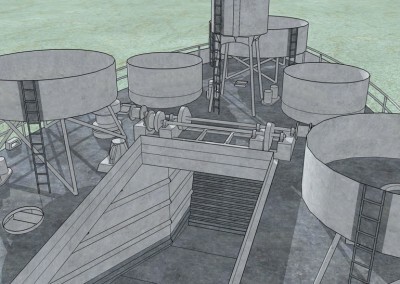 Above that the wheel house. 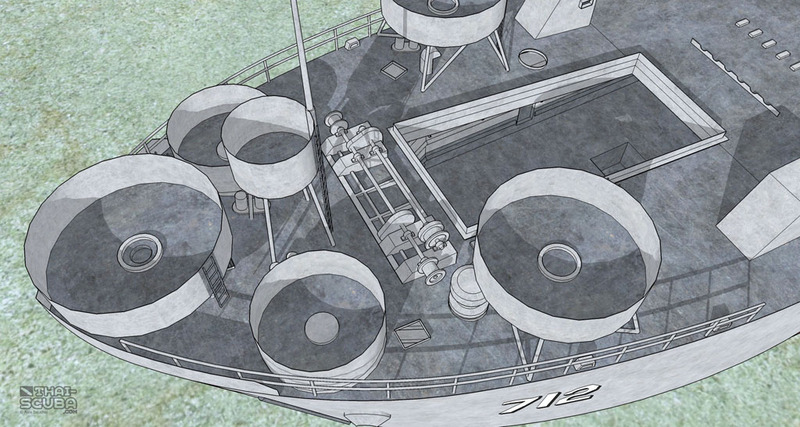 On the very top the conning station with its interesting platform shapes in all directions. 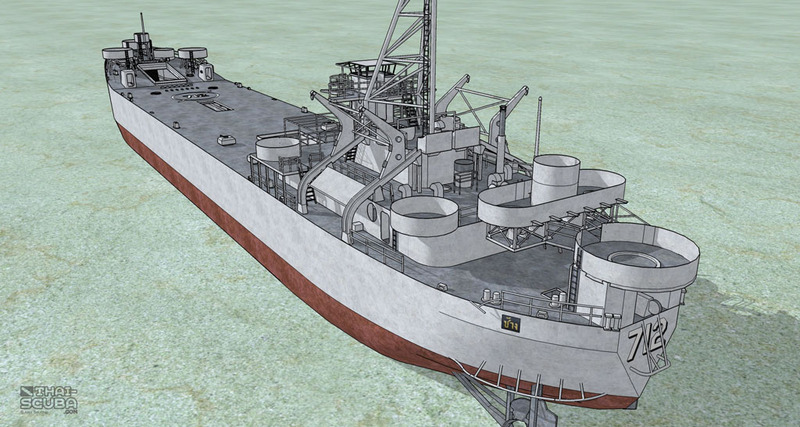 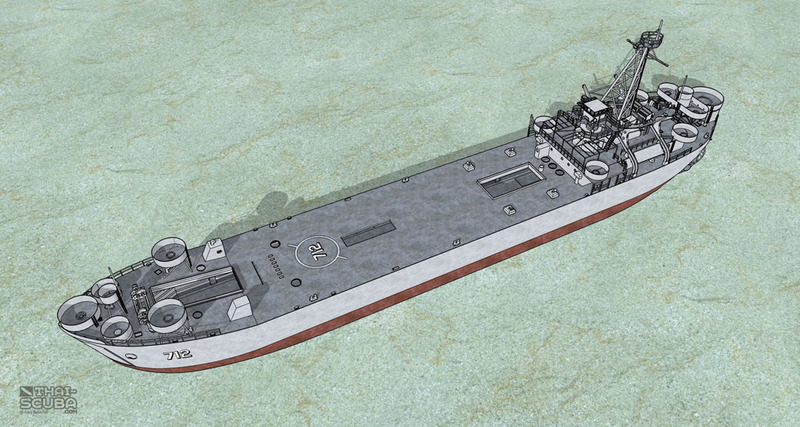 On both sides of the ship: the LCVP landing craft platforms – essentially ‘cranes’ that would lower 2 smaller LCVP type landing crafts into the water. 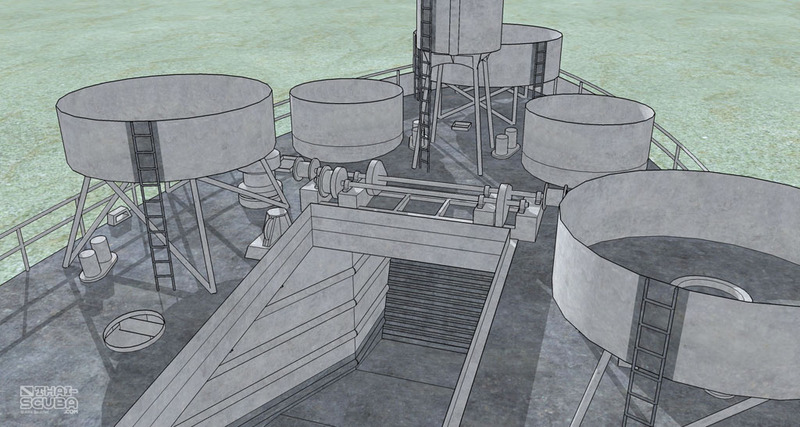 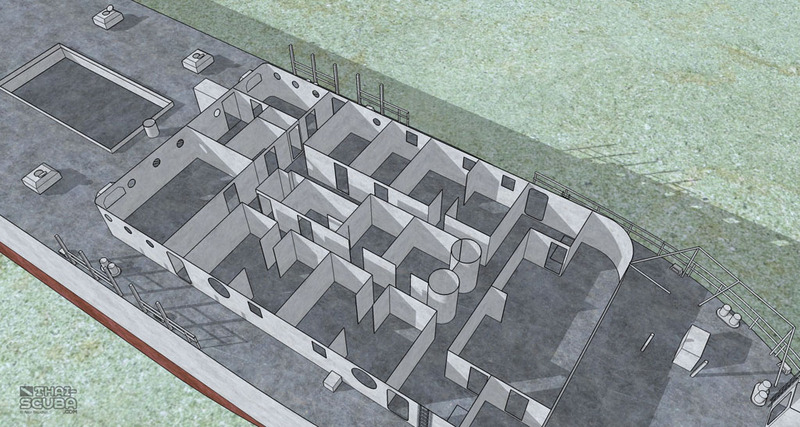 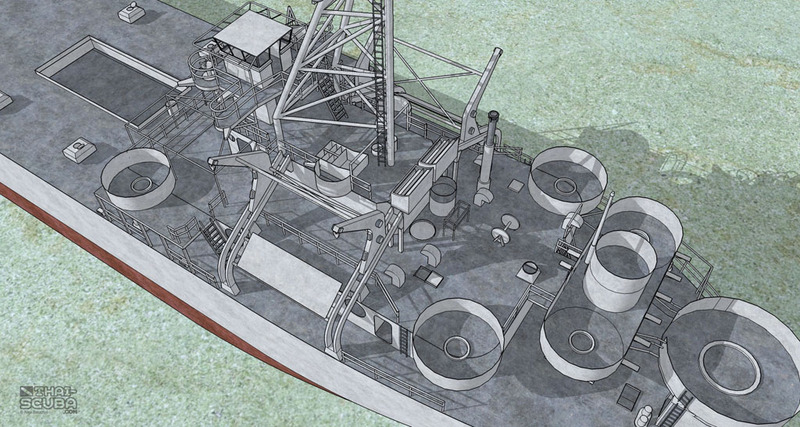 A cross section of the main deck cabins with all other elements lifted away. 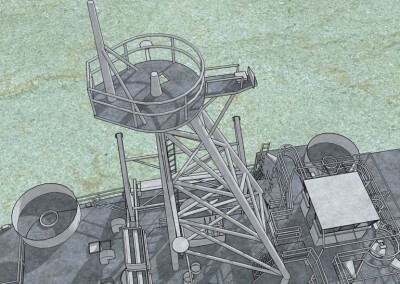 A look up the mast. 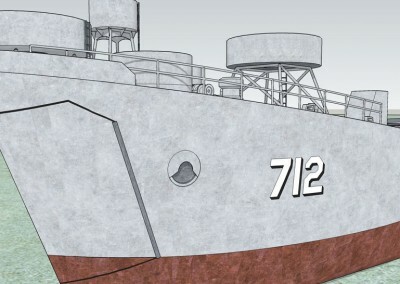 The registration number at the stern is placed right behind the anchor grid. 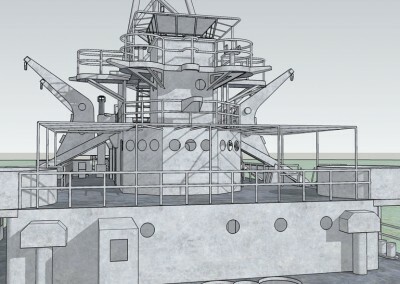 The legs supporting this gun tower as well as the hand rail on the side of the ship had been removed to drag out the huge anchor winch before the sinking. 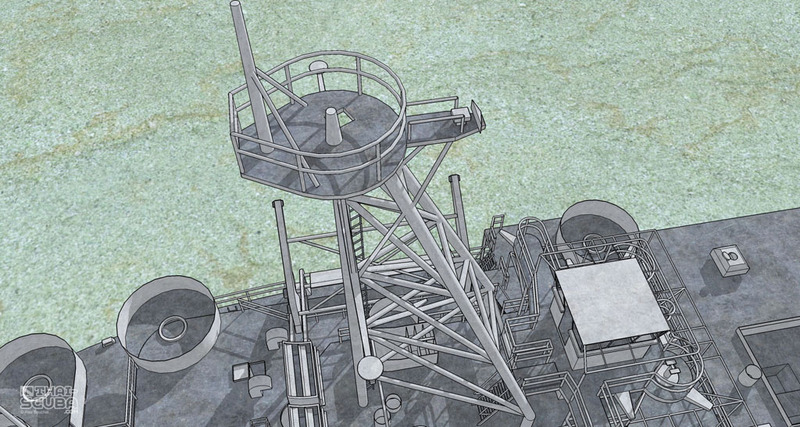 The platform at the mast is now at a convenient 5m depth which invites for a relaxing safety stop. 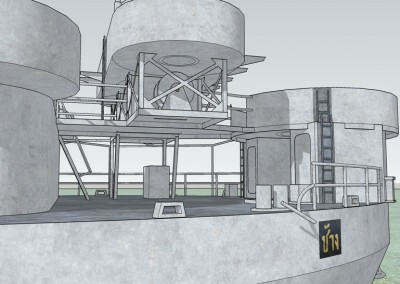 Here two videos produced by Thai-Scuba.com to help you understand the scale and scope of the wreck in all its details. 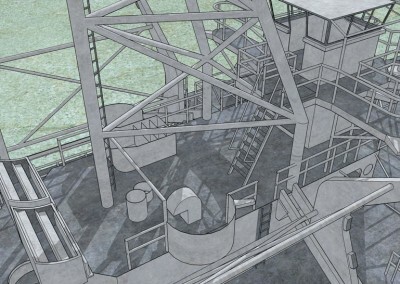 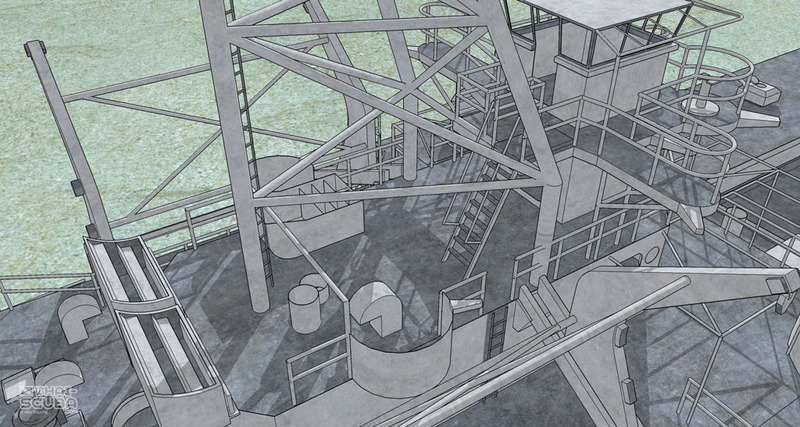 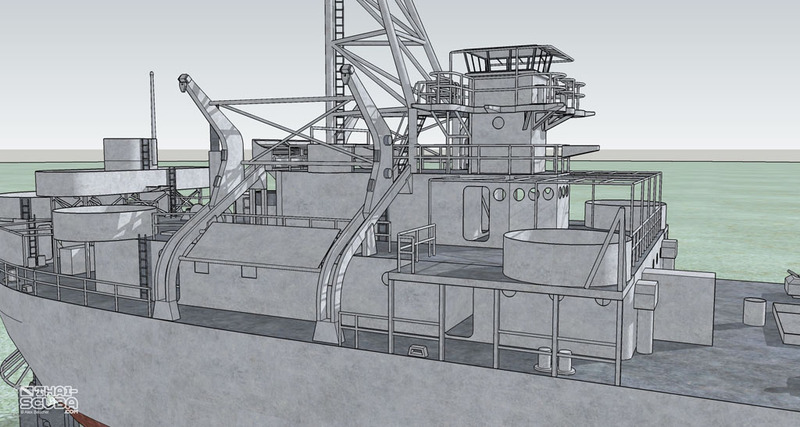 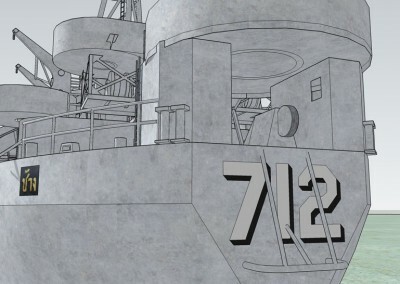 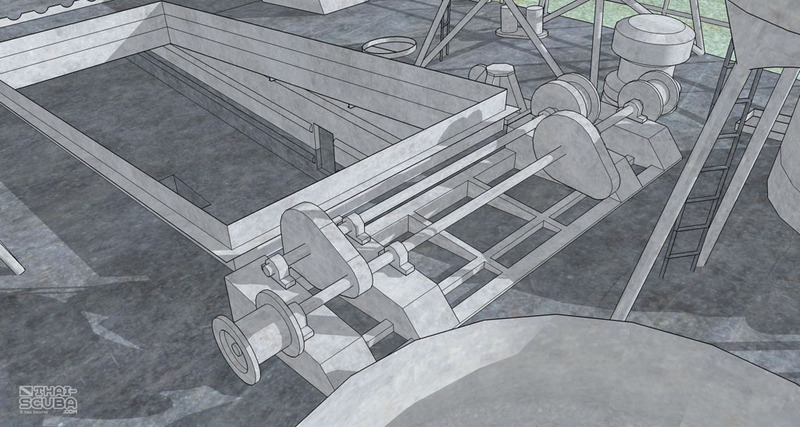 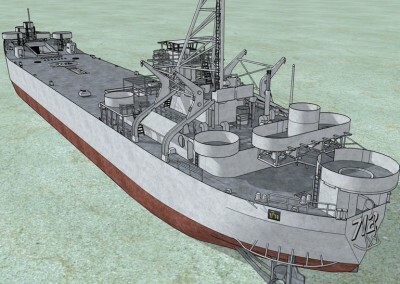 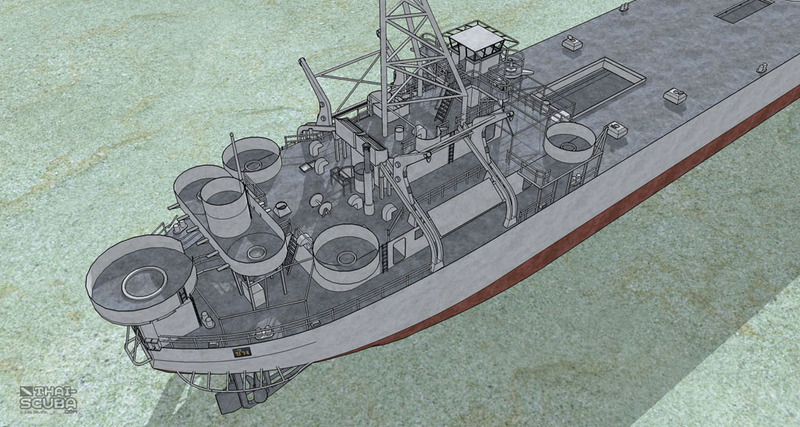 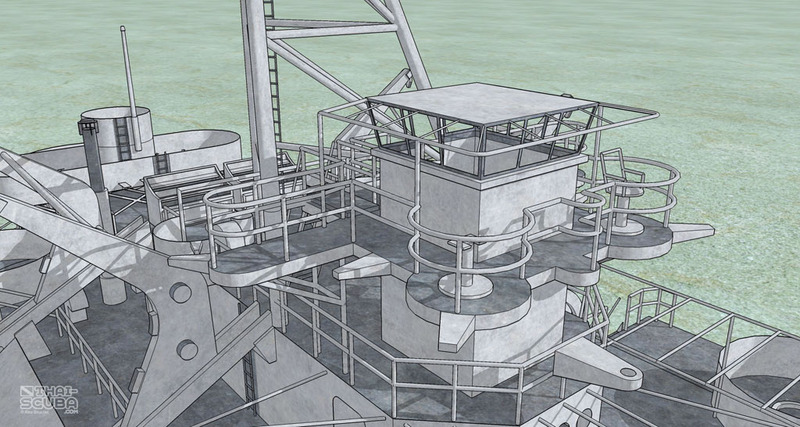 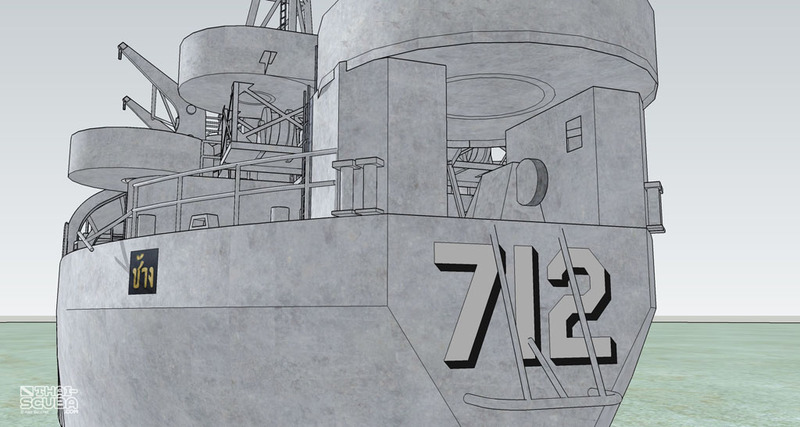 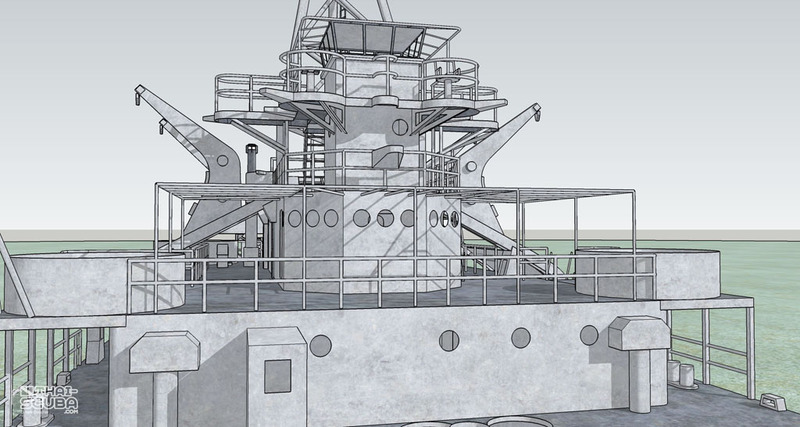 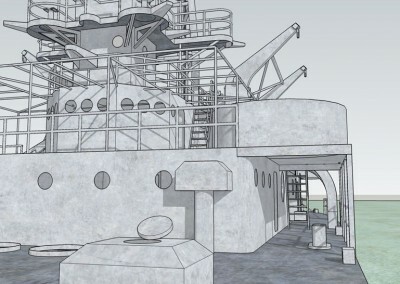 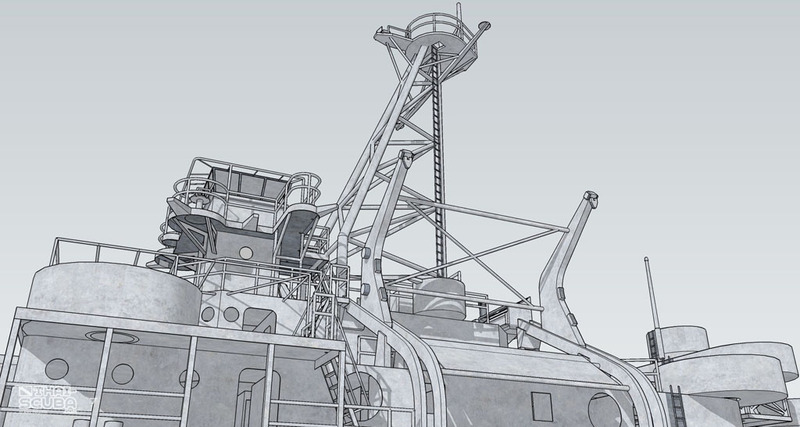 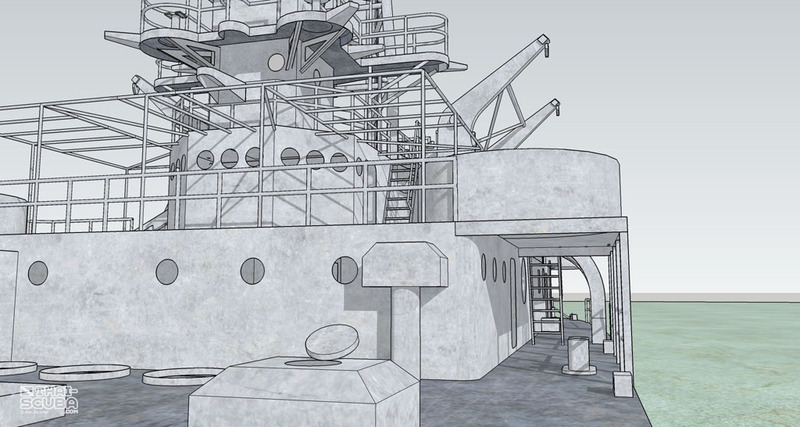 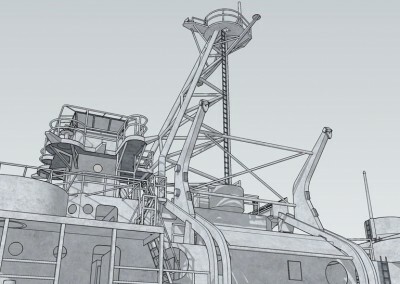 The first an animation of the 3D model, the second animations of all the interior penetration spaces of the wreck intercut with dive video footage.